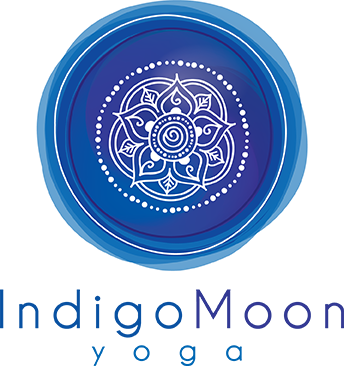 Indigo Moon Yoga LLC (the “Company”) maintains the Website located at indigomoon-yoga.com (the “Website”). By using the Website, you accept and agree to be bound by all of the following Terms and Conditions. As between you and the Company, Company owns, solely and exclusively, all right, title and interest in and to the Website and all content including audio, photographs, illustrations, graphics, video, software, data and materials thereon (collectively, the“Content”), the look and feel of the Website, the compilation of the Content on the Website, and any intellectual property rights therein. Your use of the Website does not grant you ownership of any Content you may access on these Website. Some pages on the Website include links to other websites. The Company has not reviewed any of these websites and is not responsible for the content of these websites. The Company provides these links as a convenience only, and a link does not imply endorsement of, sponsorship of, or affiliation with the linked site by the Company. Any legal action brought against the Company shall be governed by the laws of the State of Washington without regard to its conflicts-of-law rules. Any claim asserted against the Company shall be heard and determined in the federal or state courts located in Washington. Users of the Website agree not to commence any litigation relating to the use of any of the Website, except in courts located in Washington. To contact Company please email us at: info@indigomoon-yoga.com.